Included as standard in ALL our fully managed WordPress hosting accounts, our WordPress updates service means you can forget about new versions of WordPress, any plugin or theme and concentrate on your business and your customers. Let us worry about your site being up to date and secure. Don't host your site with us? Not a problem we can still provide you with this service. Any website owner who runs WordPress knows that updates to plugins, themes and WordPress itself are a regular, often weekly occurrence. Not performing these upgrades in a timely manner can leave you with a broken or insecure website. On the other hand, performing an upgrade of WordPress itself before all your plugins are updated to work with the new version can also leave you with a broken site. Manually updating themes and plugins and taking the VITAL backup of your files, folders and databases before doing so can become a regular drain on your time. Our fully managed WordPress hosting accounts take away all those headaches. 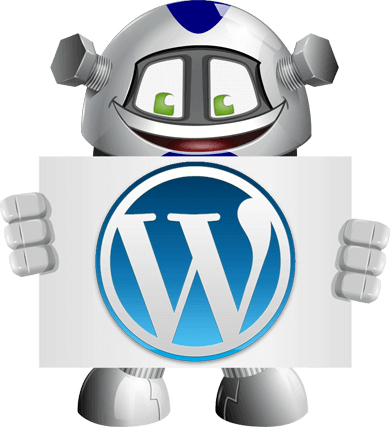 In a nutshell, we will maintain your WordPress sites programming for you. Daily checking for outdated WordPress version and installation of new versions. Daily checking for outdated WordPress plugins and installation of new versions. Daily checking for outdated WordPress themes and installation of new versions **. Daily checking for outdated WordPress frameworks and installation of new versions. Advising you when a plugin is no longer compatible with WordPress and needs replacing. Daily full backups of your site and it's databases. **Theme upgrades apply to minor releases only. If your theme releases a major update that fundamentally alters programming it may take more time and be charged for separately we would inform you if that is the case. If you are not yet hosting with us you can get more info on our WordPress managed hosting accounts below. Remember if you already have a website somewhere else we will even transfer your site to our servers for you free of charge. Don't want to move to our superior hosting? Not an issue you can just order the update service below for just £9.99 a month. If you already host your site with 3001 Web please submit a support ticket and ask us to upgrade your hosting account to WordPress managed. To contact our Data Protection Officer please put in a support ticket here. Be sure to select the data protection department on the form on the next page. ALL pages on 3001 web are encrypted to protect your privacy. Our site is secured by Let's Encrypt 256 bit encryption.